"Lots of blackcurrant, stone and dark chocolate character here, yet this remains tight and subtle. Full body, firm and chewy tannins and a long, flavorful finish. Powerful red needing another two or three years of bottle age but already beautiful to taste." Reviewed August 2015. 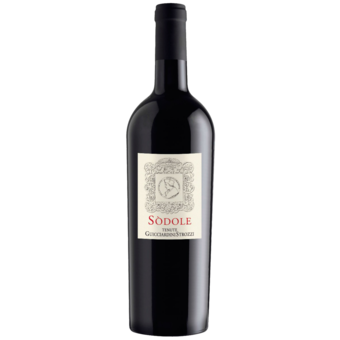 "Sòdole is a prestigious Super Tuscan wine made with 100% carefully-selected Sangiovese grapes sourced from a single, low-yielding vineyard located in the heart of the historic Cusona property. This wine has been in production since 1983 and it is produced only in the best vintages. Vinified with long maceration on the skins, it matures for 12 months in French oak barriques and undergoes one or more years of bottle age. 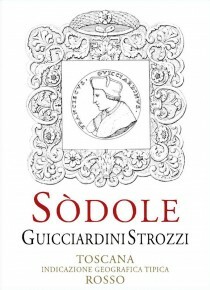 The label depicts the politician and historian Francesco Guicciardini. Deep ruby red color with slight garnet highlights. Elegant and broad on the nose with pleasant notes of violets, wild fruit and spices. full bodied on the palate with structured tannins. Especially recommended with red meat dishes, game, stews and braised meats, mature cheeses. A great meditation wine with ageing potential of 10-15 years.